Step through the magical looking glass and behind the scenes to discover how filmmakers created this riveting return to the whimsical world of Underland! 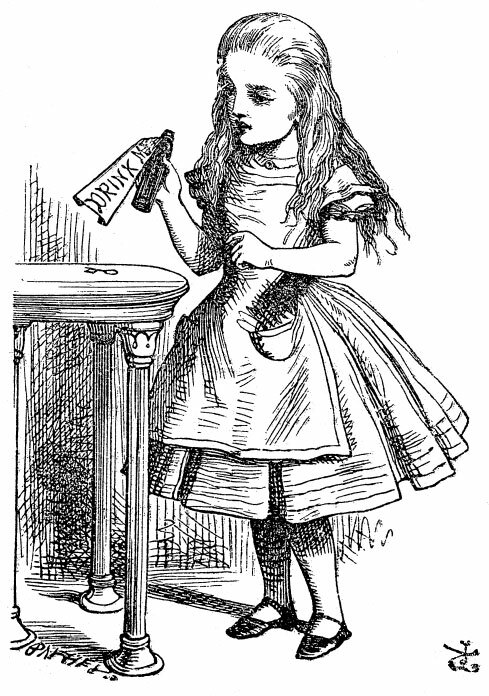 Lewis Carroll’s “Alice’s Adventures in Wonderland” forever changed the landscape of children’s literature; Disney’s animated “Alice in Wonderland” embraced this fantasy world filled with peculiar characters; and Tim Burton directed a visually-stunning, live-action film that mesmerized audiences worldwide. 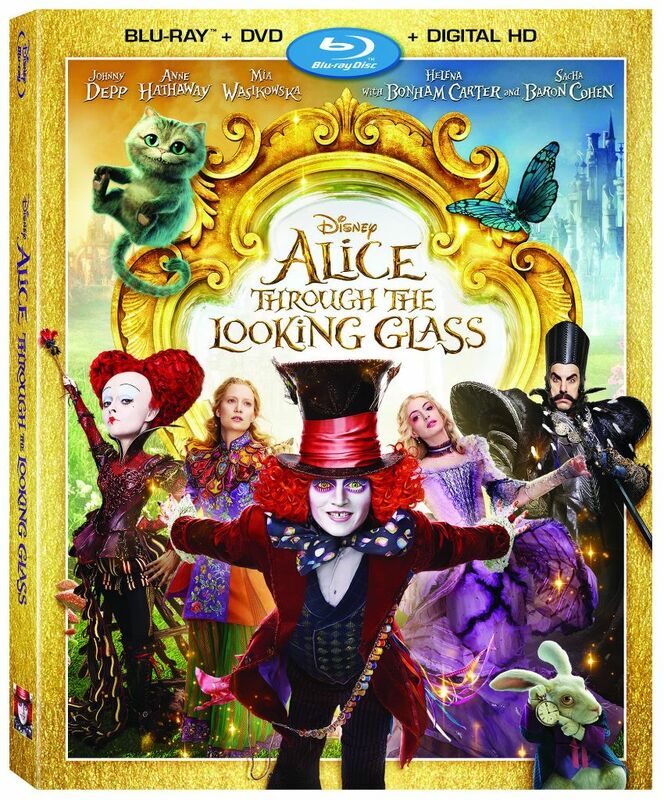 On Oct. 18, 2016, the enchanting and beloved franchise that has captivated generations of adventurers continues when Disney’s “Alice Through the Looking Glass” arrives home on Digital HD, Blu-ray™, Disney Movies Anywhere, DVD and On-Demand. Fascinating, in-depth bonus features invite in-home audiences to further explore the whimsical world of Underland. Three-time Oscar®-winning costume designer Colleen Atwood reveals the creative process behind the film’s ornate costuming; P!nk provides on-set access during production of her “Just Like Fire” music video; Sacha Baron Cohen showcases his quirky new character, Time; and Director James Bobin offers insightful audio commentary and introduces five, never-before-seen deleted scenes. 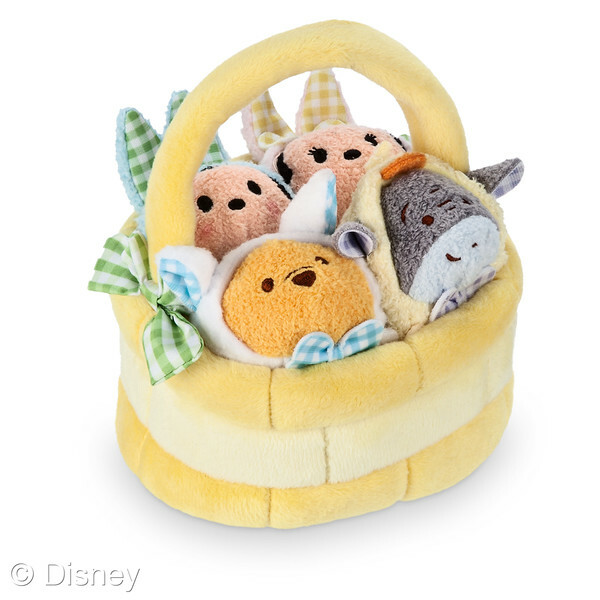 A Stitch in Time: Costuming Wonderland – Three-time Oscar®-winning costume designer Colleen Atwood (“Alice in Wonderland,” “Memoirs of a Geisha”) explains how costuming helps shape the curious characters of Underland and reveals hidden Easter Eggs within the cast’s ornate outfits. Music Video: “Just Like Fire” by P!nk – “Watch this madness, colorful charade” in P!nk’s music video for “Just Like Fire,” the hit song featured in “Alice Through the Looking Glass” that powered to the top 10 on Billboard’s Hot 100. Behind the Music Video – Go on set with P!nk for production of her “Just Like Fire” music video, featuring fantastical imagery, aerial stunts, Underland character cameos, and guest appearances by P!nk’s family. Behind The Looking Glass – Jump back and forth through time during this in-depth look into the making of “Alice Through the Looking Glass,” hosted by director James Bobin. Time On… – Delight in this discussion with the unpredictable and witty Sacha Baron Cohen who plays Time, the keeper of the Chronosphere, a metallic sphere that powers all time. Alice Goes Through Time’s Castle: A Scene Peeler – View raw production footage alongside final scenes, as Alice enters Time’s castle of eternity. Characters of Underland – Get to know the quirky and colorful supporting characters in Underland, such as the tubby twins known as the Tweedles (Matt Lucas) and Absolem (Alan Rickman), the blue caterpillar turned blue Monarch butterfly. Deleted Scenes with Director Commentary – Bobin introduces five never-before-seen scenes that didn’t make the final cut of Disney’s spectacular adventure. Disney’s “Alice Through the Looking Glass” is a spectacular adventure, featuring the unforgettable characters from Lewis Carroll’s beloved stories, in which Alice returns to the whimsical world of Underland and travels back in time to save the Mad Hatter. Directed by James Bobin, who brings his own unique vision to the visually-stunning world Tim Burton created on screen with “Alice in Wonderland,” the film is written by Linda Woolverton and based on characters created by Lewis Carroll. The producers are Joe Roth, Suzanne Todd, p.g.a. and Jennifer Todd, p.g.a. and Tim Burton. John G. Scotti serves as executive producer. “Alice Through the Looking Glass” reunites the cast from Burton’s 2010 worldwide blockbuster phenomenon, including Johnny Depp, Anne Hathaway, Mia Wasikowska, Matt Lucas and Helena Bonham Carter and introduces new characters played by Rhys Ifans and Sacha Baron Cohen. Also back are the talented voices of Alan Rickman, Stephen Fry, Michael Sheen, Timothy Spall, Barbara Windsor and Paul Whitehouse, who are joined by Matt Vogel. Four-time Oscar® nominee and GRAMMY® winner Danny Elfman (“Milk,” “Big Fish”) returns to compose the film’s score, which includes melodies from 2010’s “Alice in Wonderland” and additional themes inspired by both new and developing characters. The film also features “Just Like Fire,” an original, hit song performed by GRAMMY®-winning singer/songwriter P!nk.